With any active cyber threat, it is critical to understand the source and full extent of the network security breach in order to effectively respond and eradicate its presence in your environment. Our Computer Forensics and Network Security Specialists move quickly to capture and analyze data stored in your hard drives, CDs, DVDs, thumb drives and other media formats using industry standard incident response procedures. Following evidentiary procedures to ensure integrity and admissibility, we will thoroughly investigate the incident while keeping you informed of all results. Computer Forensics and Network Security investigations can be performed during Incident Response Handling or independently, depending on your needs. Determining the source and full extent of a breach is vital to containing the incident and addressing the root cause. You need to know how far a hacker has penetrated your organization and systems, and what has been exfiltrated from your environment. In many cases, this can be accomplished only through in-depth Computer Forensics and Network Security Investigation. The Allegiant Computer Forensics service gets to the bottom of how your systems were penetrated and what has been compromised. If you suspect systems and sensitive data have been compromised but do not have sufficient evidence to declare an incident, proper Computer Forensics Investigation can help you confirm a breach has occurred. In the midst of an incident, following evidentiary procedures often is overlooked as your team focuses on containing the problem. This can impair your organization’s ability to provide reliable and useful evidence of the breach to proper authorities. Our Computer Forensics experts perform a proper forensic investigation of your data storage devices, adhering to standards of evidence and legally admissible proof for criminal proceedings. We provide appropriate Chain of Custody documentation for systems, images or data acquired during the investigation. In addition, our investigators prepare reports or forensic evidence for appropriate law enforcement or investigating government agency upon request. If your organization has become a victim of a security breach, or suspects a breach has occurred, contact Allegiant immediately at (469) 296-8109. Expert forensic services for computers, mobile devices, business networks, and home networks. Our digital forensics investigators help companies and individuals respond to incidents and litigation where electronic data may play a role in substantiating claims or proving actions. 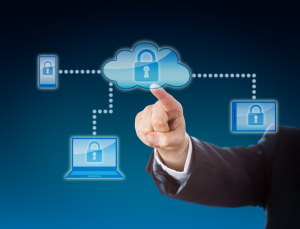 Our experts provide assistance in the identification, preservation, and analysis of all forms of electronic data residing on mobile and cellular devices, computer or server systems, or cloud storage. During investigations, we routinely assist in matters related to the misuse of confidential data, employee misconduct, non-compete and employment contract disputes, insurance fraud, digital image analysis, mobile and cellular device analysis, and electronic document collection and production. The data collected and analyzed will aid in the successful investigation and litigation of complex matters. Whether you need to collect data from multiple locations around the globe or just a single location, our team of certified experts can help respond to regulatory and legal requirements in the most cost-effective, efficient and forensically sound manner. We can consult on and design an approach based on your objectives, develop an inventory of the universe of potentially responsive data, and acquire data from nearly every file type and source, using proven technology and forensically sound methods. Our technology offers advanced analytical features to cull data efficiently and effectively, increasing the speed and accuracy of your review. Analytics are fully integrated into our platforms, to inform you earlier in the process of other strengths and weaknesses of your case. Our Expert Computer Forensics Investigators are here to serve you. Our Computer Forensics, Forensic File Recovery, Network Security and Penetration Testing services are directed by one of the most highly qualified Computer Forensics and Computer Science experts in Texas. Mr. Easttom is an expert in Forensic Science, Computer Forensics, Mobile Forensics, Network Security, Penetration Testing, Forensic File Recovery, Cryptography, and related topics. He has extensive experience in training law enforcement and computer forensics professionals, as well as a long history of testifying in court as an expert witness. You can view is entire CV here. Holds a number of computer security certifications such as CISSP, ISSAP, CEH, and others. Experienced with many forensic tools including Encase, FTK, OSForensics, Oxygen, Paraben, and others. Authored 19 computer science books including 3 books on cyber crime and forensics. He is the author of the Certified Cyber Forensics Professional guide published by McGraw Hill. He has also authored four security textbooks that have individual chapters on forensics. These textbooks are used to teach computer security and forensics at universities around the world and have been translated into multiple languages including Mandarin, Korean, and German. Frequently teaches forensics including to state, local, and federal law enforcement as well as friendly foreign governments. His computer security and forensics courses are approved by the U.S. Department of Homeland Security National Initiative For Cyber Security Careers and Studies (NICCS). Extensive experience testifying in court as an expert witness. Member of the American College of Forensic Examiners. Numerous published papers in forensics including “Introduction to Windows Registry Forensics”, “Introduction to Phone Forensics”, and “The History of Computer Crime“.